Lucknow: The city of Nawabs has turned blue and hoardings have come up in the city on the proposed Mahagathbandan of SP and BSP along with the birthday celebrations of Mayawati on January 15. Mayawati will celebrate her 63rd birthday on January 15 and also SP MP from Kannauj Dimple Yadav, wife of SP president Akhilesh Yadav, will celebrate her 41st birthday on the same day.Hoardings depicting new-found friendship between Samajwadi Party and Bahujan Samaj Party have appeared across Uttar Pradesh. Hoardings have come up in front of the state SP office here, and other places in the state capital carrying a picture of BSP president Mayawati and SP president Akhilesh Yadav, reading "Satya Pareshan Ho Sakta Hai, Parajit nahi (Honesty can face problem, but cannot be defeated)".It also has a slogan of Akhilesh Yadav saying" Hamare pass gathbandhan Hai, BJP ke pass CBI (We have the alliance, BJP has CBI)". Another sign board, erected by one SP leader Dipu Srivastava, has photos of ideologues of both the SP and the BSP-- Ram Manohar Lohia and Dr B R Ambedkar along with other SP leaders. 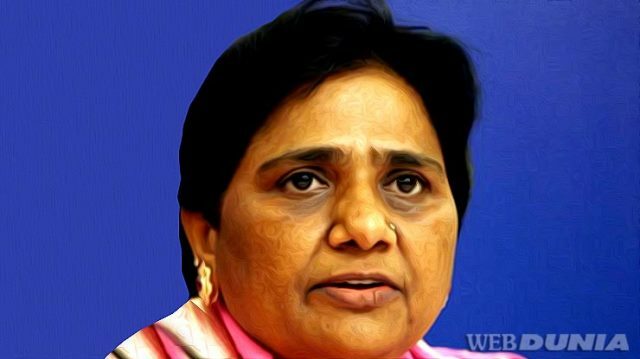 Both the SP-BSP had given a joint statement against the BJP over the CBI raids in connection with the mining scam in the state and even Mayawati had phoned Akhilesh asking him not to worry about the possibility of CBI's act. The announcement of the Mahagathbandan would be announced on Saturday. Mayawati ,who reached here on Thursday evening held couple of rounds of meeting with the senior leaders and Bhai-chara committees immediately after she was given a rousing welcome here. The BSP leader is expected to celebrate her birthday on January 15 morning and later will leave for New Delhi to celebrate there too in the afternoon.Leaders from SP, RLD,INLD Janata Dal (Secular), Janta Congress Chhattisgarh (JCC) and other regional parties and other smaller parties would be invited for the birthday celebrations. Former Chattisgarh CM Ajit Jogi along with party legislators from Karnatak, Rajasthan, Chattishgar and MP would also join in the celebrations either in Lucknow or New Delhi. Sources said BSP leaders from all over the country have been called to Lucknow for the celebrations which will be observed as ' Jankalyankari Diwas' as done in the past. After losing 2007 assembly election, BSP has been celebrating Mayawati's birthday as 'Jankalyankari Diwas'.